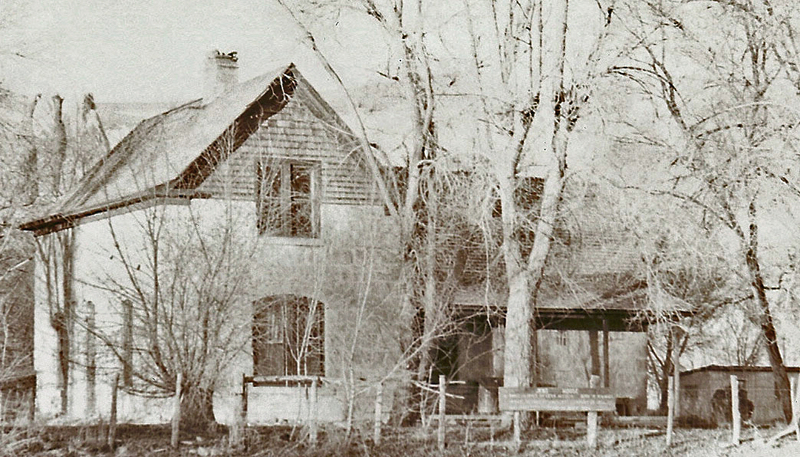 Earlier view of the home which belonged to Jens and Kirsten Nielson. Kirsten Jenson Nielson and her six children were members of the original Hole-in-the-Rock expedition. 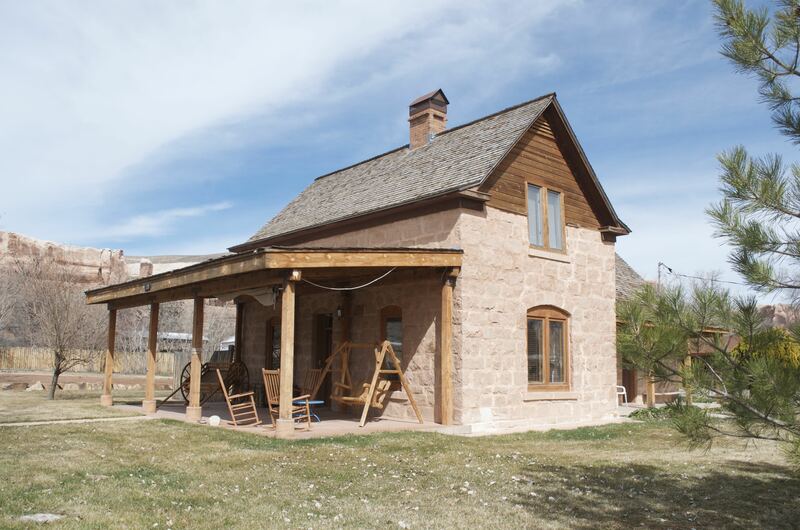 The house was built from sandstone from the surrounding bluffs. The house originally had two bedrooms upstairs and an attic over the east portion of the lower level. Bathrooms have been added to the two upstairs bedrooms and the attic is now a playroom for the great, great grandchildren of Jens Nielson. Previously, the house has been a restaurant and a bed and breakfast. A large front porch was added to the west side of the house. On the north side of the house, an addition consisting of a bedroom and bath, dining room and kitchen h ave been added. The front door of the original home was on the south side where there is now a small porch. A deck and stairs were added to the east side for more accessibility to the two upstairs bedrooms.